The Thursday night NFL kickoff game broadcasted on NBC, featuring the Chiefs VS Patriots, attracted some 21.8 million television viewers, a decline of more than 13% from last year's 25.2 million viewers opening game, according to NBC and Nielsen viewership data. There's no doubt that viewership was probably impacted some, as fans in Texas, Florida and Georgia recover from Hurricane Harvey and brace themselves for Hurricane Irma. 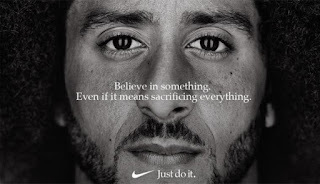 But, the elephant in the room no one wants to acknowledge is the growing NFL boycott regarding last years protests against the national anthem starting with Colin Kaepernick. We know that the boycott accounts for a nice portion of the loss in viewership, because the decline actually started last year. 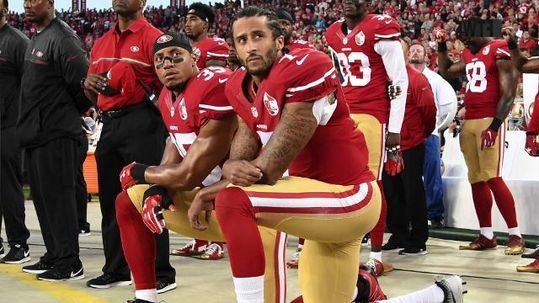 Last years NFL preseason kicked off with a little tension when Kaepernick decided to remain seated during the playing of the national anthem instead of standing in honor of the nation’s racist theme like everyone else was. During the regular season Kaepernick began kneeling on the field instead of standing. His protest rocked the sports industry as a whole. By Week Five, television ratings began dropping as Kaepernick fans and others who just wanted to see a rewrite of the national anthem stopped watching. Data from last years Rasmussen poll found that 32% of adults said that they had stopped watching NFL football, because of the protests while only 13% said they are more likely to watch. The ratings for last years Week Three’s Sunday featured game between Chicago and Dallas measured in at 12.9 in the Neilsen ratings. That was down from the previous Sunday before it at 13.7 and that was down from week one’s 13.9 rating. That's a steady unusual decrease in viewership. Monday Night Football ratings were even worse last year. The game between Atlanta and New Orleans received a low 5.7 rating; which is a 38% dive under the same week of the previous year. So there's no way to dispute it, the NFL boycott is definitely taking a bite out of viewership and ratings. With the season kicking off with Kaepernick still not signed by any team it's going to get worse. But, these are not only hard times for the NFL they are also hard times for Kaepernick. If he had enough balls to stand up for the black community let's see how far the black community will take it to stand up for him or will this be one of those situations when the alpha male gets buck broken in front of his fans and they just go back to their normal lives making Kaepernick's struggle out of a mere immature rant from a baby. The NFL should have respect for its black players who make up its majority. The national anthem should be rewritten to fit a modern America where blacks are free people not slaves, and Kaepernick should have his job back. Is that too much to ask for America? I guess it is when you live in a country that masks how much of a monster it is by keeping everyone entertained with it's new age coliseums and gladiators. Your paid to distract people from reality, not direct their attention towards it. Follow Khemet Amon-Ra on Twitter @RaKhemet .